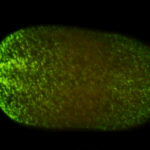 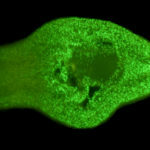 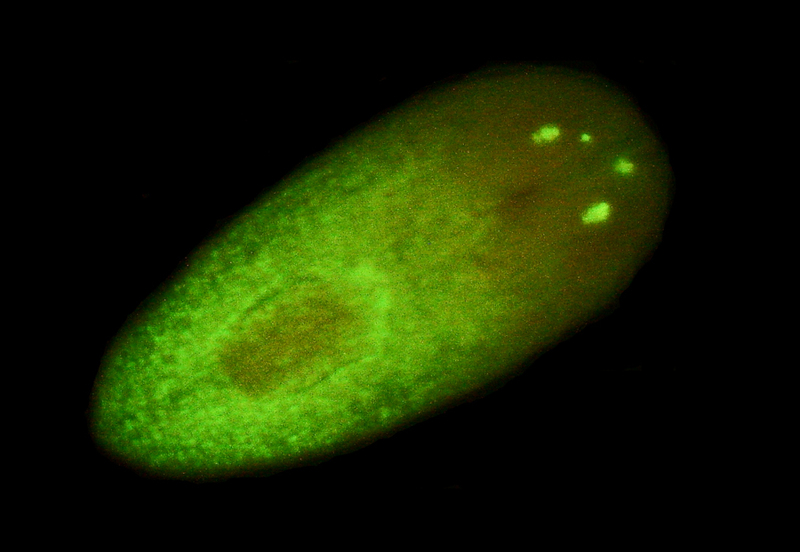 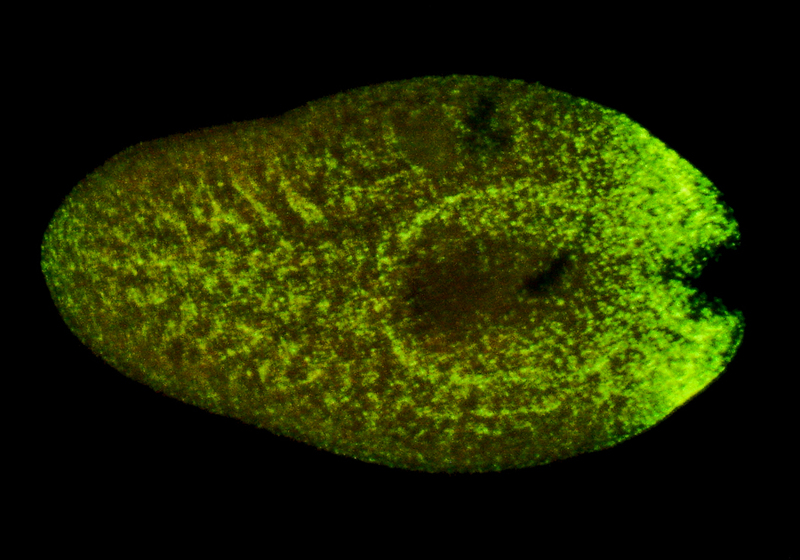 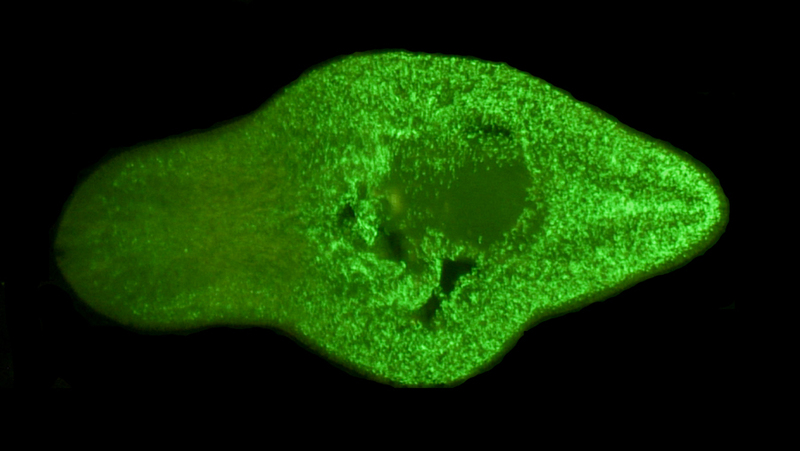 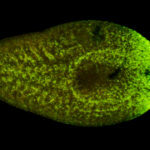 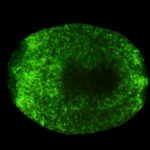 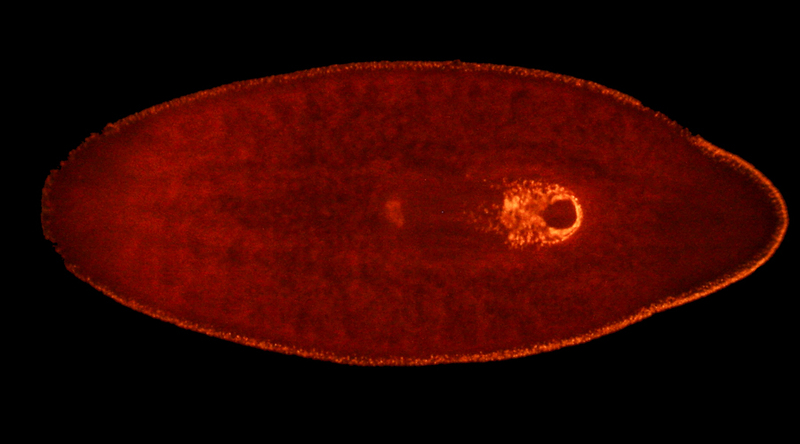 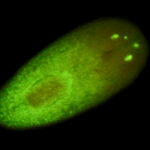 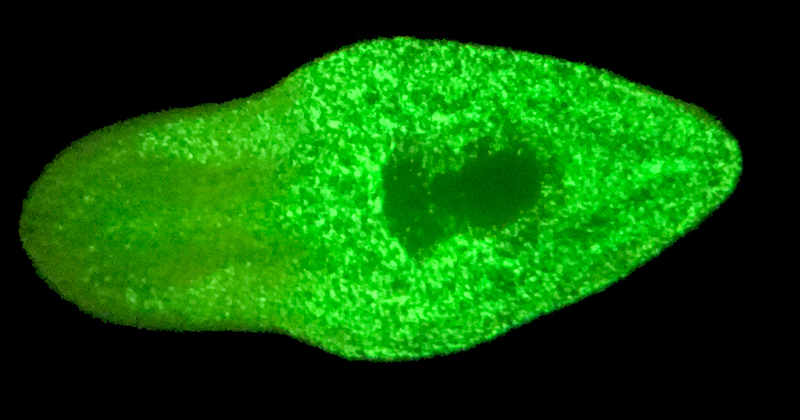 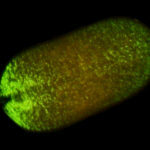 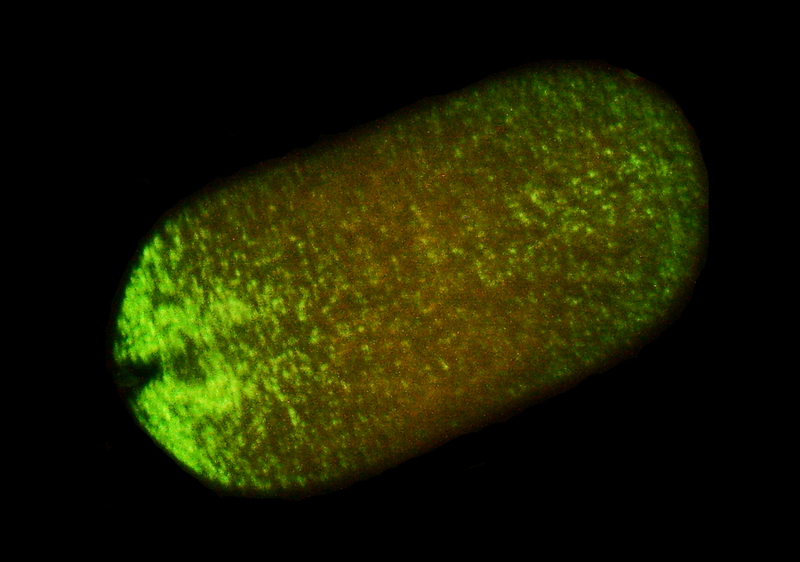 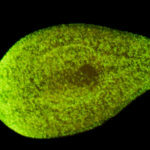 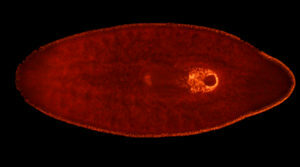 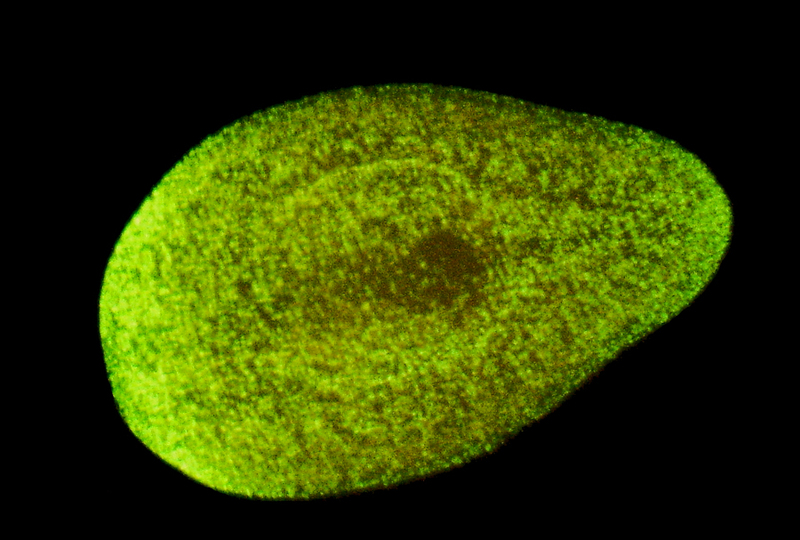 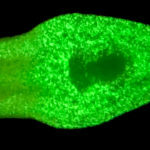 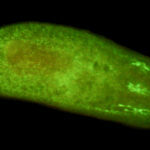 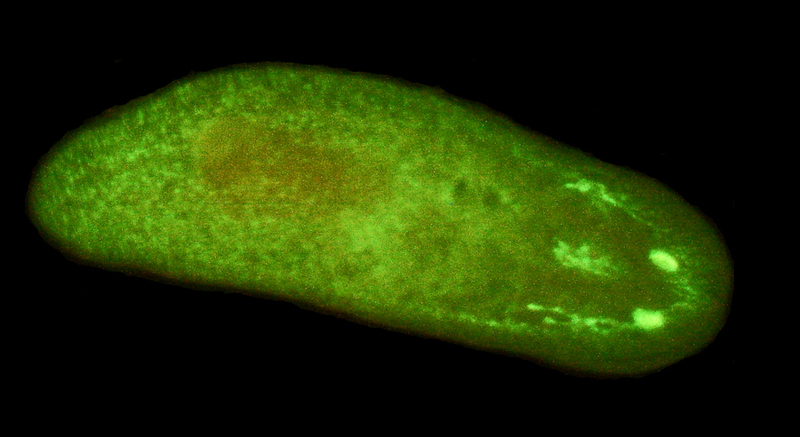 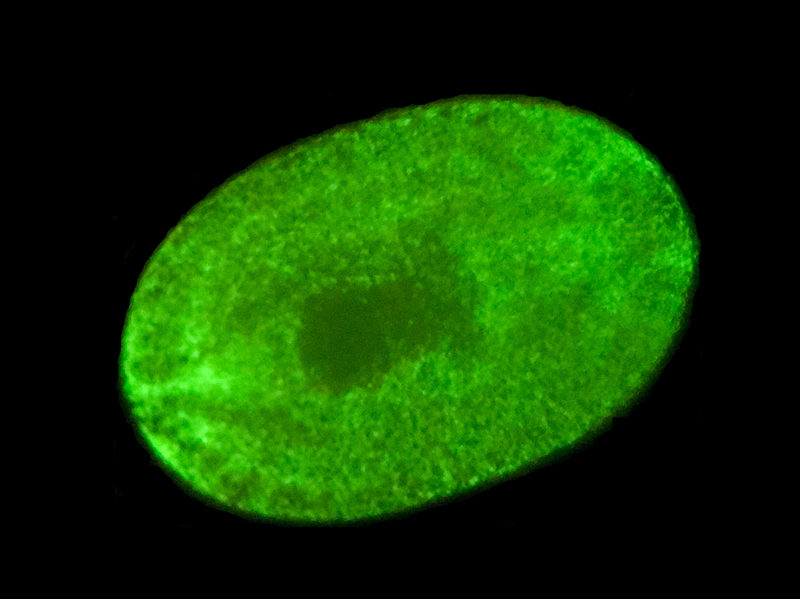 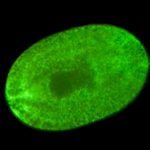 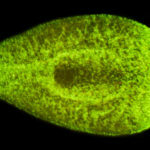 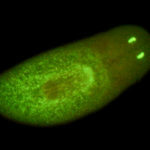 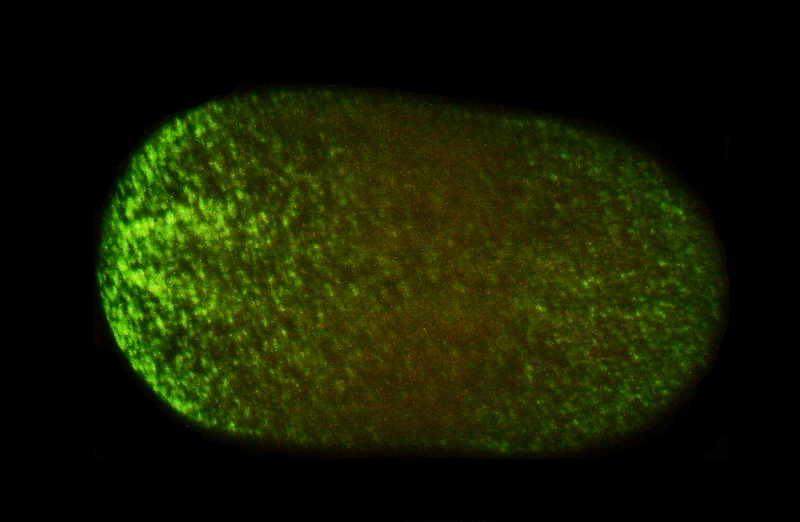 FISH (fluorescence in situ hybridization) is routinely used to label features in planarians (Schmidtea mediterranea). 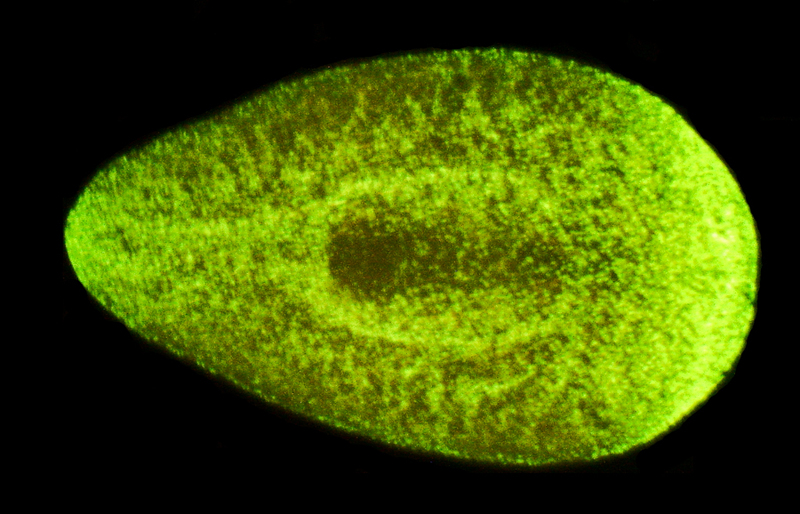 The NIGHTSEA Model SFA Stereo Microscope Fluorescence Adapter can be added to just about any existing stereo microscope to create a practical system for screening samples for successful preparation prior to moving to higher resolution imaging techniques. 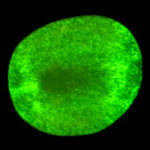 All images below were made with a conventional stereo microscope fitted with the Model SFA. 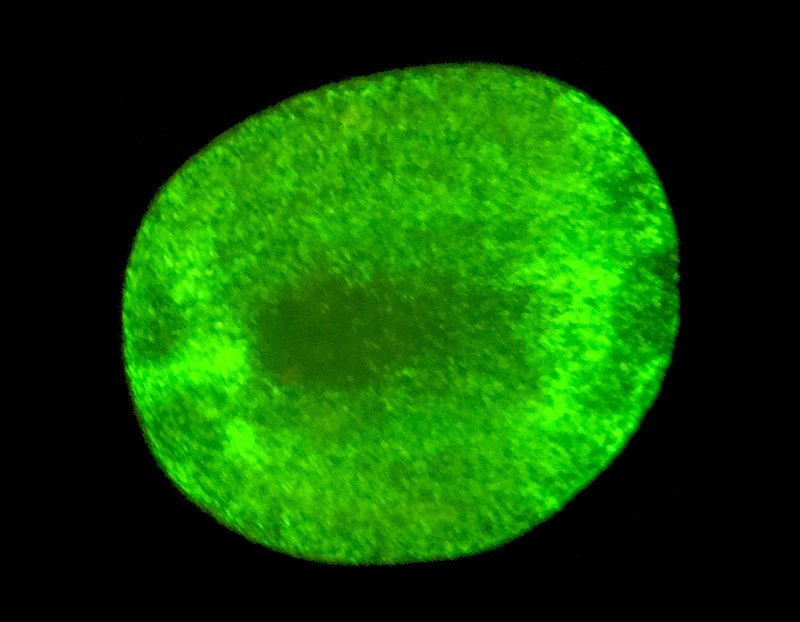 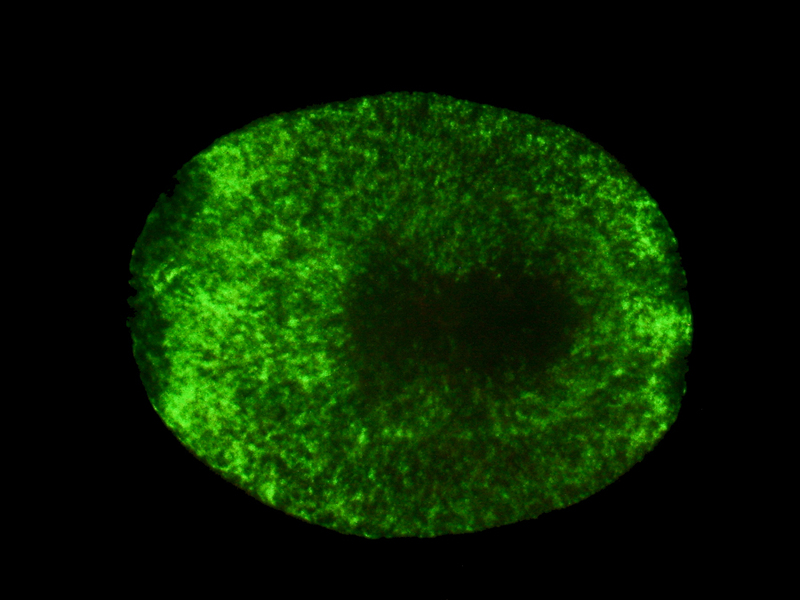 PIWI gene (marker for stem cells) labeled with FAM (fluorescein amidite). 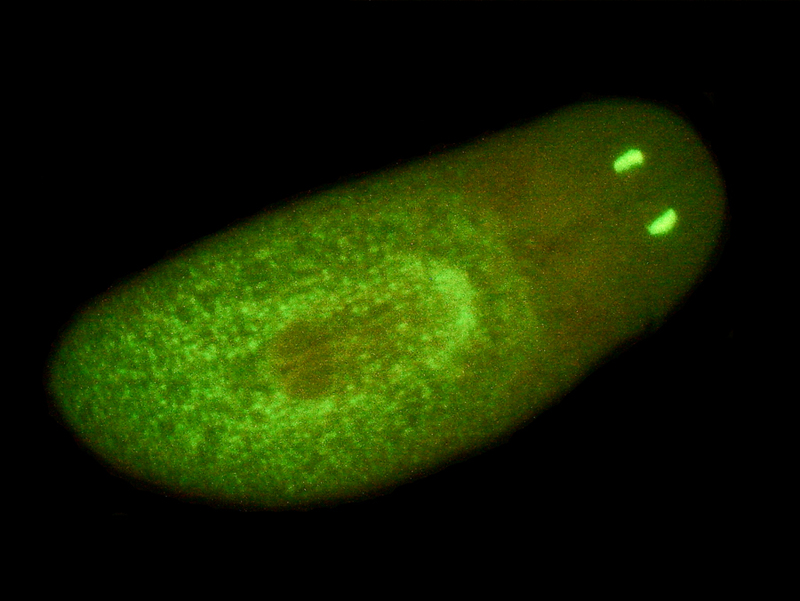 Specimens courtesy of Donald Von Kannon, laboratory of Dr. Wendy Beane, Western Michigan University.